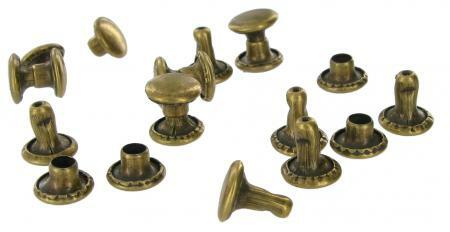 Tubular Rivets Antique Brass pack of ten. This Tubular Rivet is very easy to use, the two parts snap together and to bond them into position you simply tap them together with a hammer. This one is available in Antique Brass. The rivets are packet in units of ten. If you have any queries about the suitability of this spare, please call +44 1494 775577 and ask to speak to Paul.